A graduate of New York University’s Tisch School of the Arts, Ian studied creative writing, dramatic arts and acting with intensive character development and script theory under the late great Stella Adler. Have you ever read a book that is so bad that it loops back around to being good? 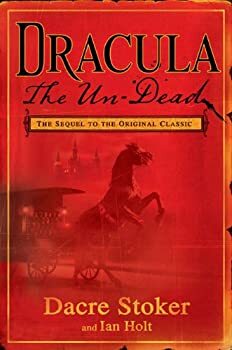 Well, Dracula the Un-Dead (2009) isn’t one of those books. It’s just plain bad. But it nearly provides one of those “so bad it’s good” reading experiences, creating a sense of bile fascination in the reader over the fact that someone could clearly enjoy a source material enough to write a sequel, but apparently hate it so much that they would write it… well, like this.